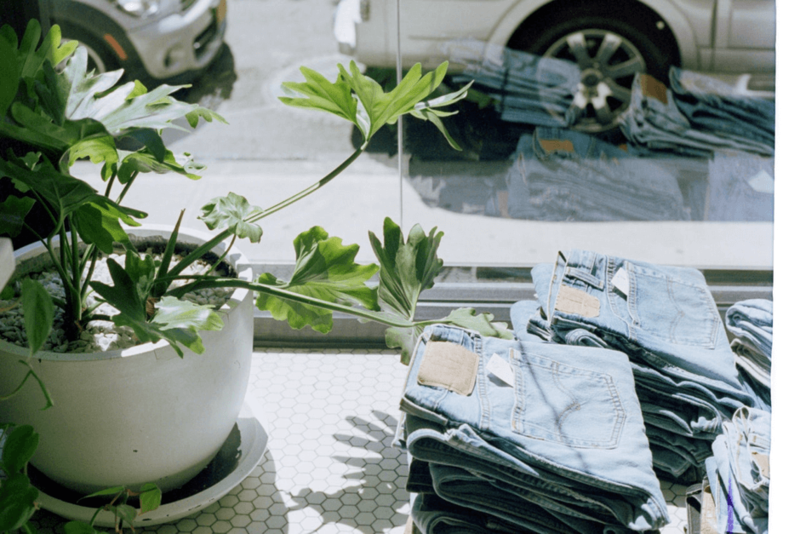 This is probably the most straightforward way to wear embroidered denim, and the most common. 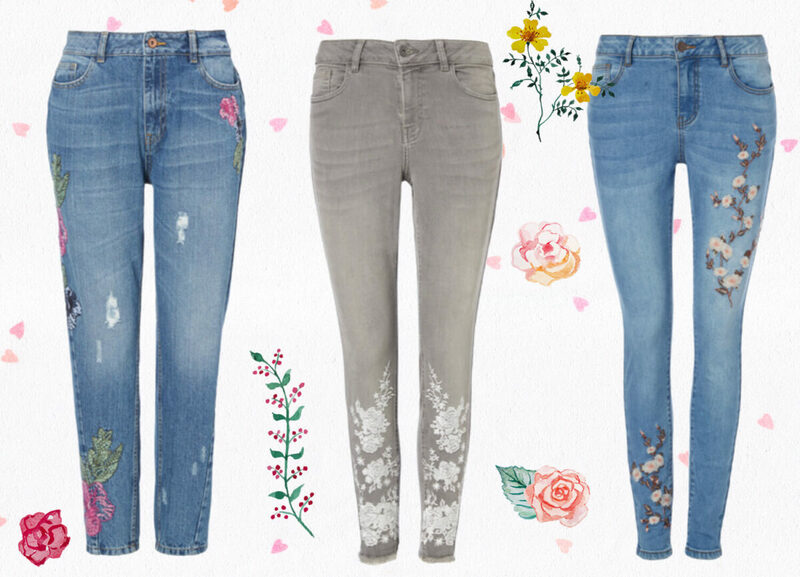 Embroidered women’s jeans range from dark skinnys to light-wash boyfriend styles, so no matter how you wear yours you’ll find a pair to suit. If you haven’t yet sorted a pair for your wardrobe there’s a great selection of jeans from TU* (a few of my faves pictured above! ); a pair with floral embellishments will help you in your quest for embroidered trend setting. Finish off the look with a fitted white tee and a pair of high top trainers – the key is to keep it simple elsewhere and let the jeans do the talking. 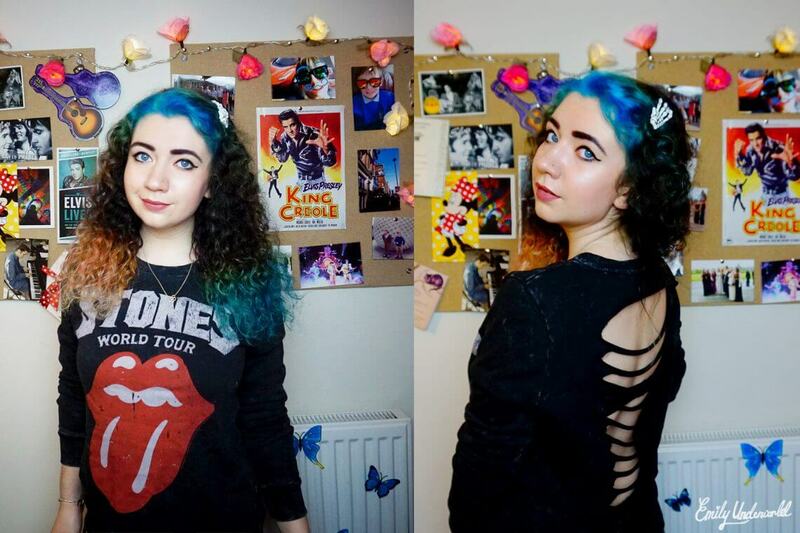 Another fantastic way to get some embroidery in your wardrobe is to crack out the jackets. Autumn is coming, so why not warm up with a classic denim number, available with a range of patterns and custom designs decorating the front or back. You probably remember owning one of these in the noughties, but they are back in the fashion limelight once again and are massively on trend. Embroidered jackets come in all shapes and sizes, from large animal motifs filling the back to subtle roses and elbow patches. You can choose how loud you want your embroidery to be and how much of a statement you want to make. Pair your jacket with a simple black skirt or white skinny jeans and boots. It’s best to stay away from double denim, unless you really want your outfit to stand out. It’s not just jeans that are wowing the catwalk with denim this season, you can also find plenty of embroidered shorts making their way onto the fashion scene. Try wearing shorts with a pair of dark tights and ankle boots, keeping the focus on your intricate denim during the autumn. Or, if you’re still chasing down those long summer days, try some embroidered shorts as a cover-up to your swim suit or bikini for the ultimate beach babe look. It’s a casual and effortless style that’s certain to make a statement. A denim dress is a surprisingly versatile piece when it comes to embroidery. There’s no end to the way you can wear this trend and to the styles and fits that are available. Denim dresses range from tight fitting evening wear to flowy, off-the-shoulder looks. Depending on your style you can pair it sandals, trainers or pumps, making your outfit work for any occasion. You’ll be in good company with this outfit, as denim dresses are all the rage this season and have already been spotted on stars including Jessica Alba. In fact, I have a denim dress that I’ve owned since I was around 14 and it’s still totally cool. Are you planning on wearing embroidered denim this season? Hit me up in the comments and let me know how you’re styling your statement piece. Next Next post: Pizza Union Aldgate: Proper Italian Pizza in 3 Minutes!